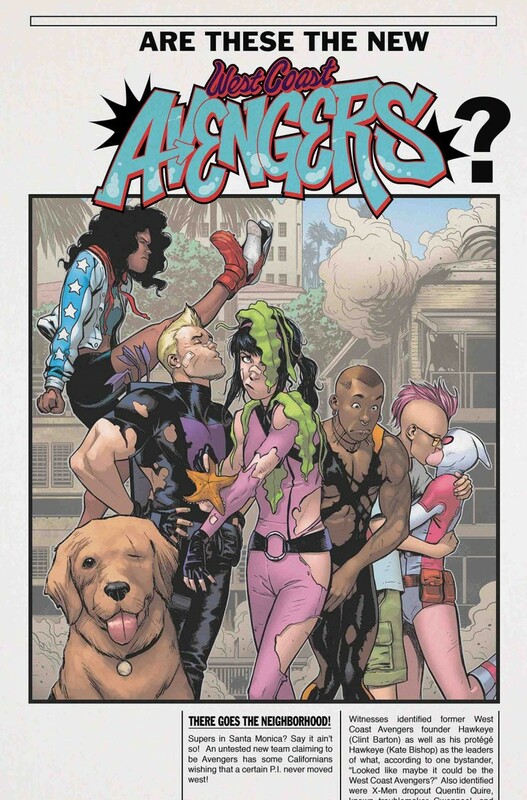 If the team thought a 50-Foot Woman version of Tigra was trouble, just wait till they get a load of her ‘friends.’ That’s right, it’s close encounters of the very large and destructive kind as the West Coast Avengers try to save the day from B-movie-monster-sized threats roaming Los Angeles! And while her team takes the direct approach, Kate Bishop finds herself in a compromising position when trying to get ahead of the game? Is she going to end up on the wrong side of this battle? !